Since Doctor Who began broadcasting new episodes in 2005, the BBC has been releasing DVDs and later Blu-rays of the series. For an American collector, purchasing these episodes can get very expensive, even from amazon.com. I purchased all the "classic" Doctor Who serials in their "pure", U.K. Region 2 format from amazon.co.uk. For purposes of this article, 25i=50i and 29.97i = 59.94i. 25i is 25 interlaced frames, 50i is 50 interlaced fields, 29.97i is 29.97 interlaced frames and 59.94i is 59.94 interlaced fields. An interlaced field breaks up a complete frame into odd and even scanlines. The Ninth Doctor, series 1, and the Tenth Doctor, series 2-4 and the Tenth Doctor Special The Day of the Doctor were originally recorded and broadcast using the standard standard definition widescreen PAL format 576/25i. They used a post-processing effect to give the program a more film-like progressive scan (25p) quality. The later Tenth Doctor Specials, starting with Planet of the Dead and all the Eleventh Doctor stories, were recorded in high definition 1080/25p and usually broadcast on BBC HD or BBC One HD in the 1080/25i format. The fact that the interlaced format is used should make no difference in the picture quality. 25 frames splits evenly into 50 odd and even fields. Progressive, segmented Frame treats 25i material as 25p material for all intents and purposes. DVD supports 576/25i for PAL countries and 480/29.97i for NTSC countries. When released on PAL DVD, the BBC could transfer the show very easily since DVD supported 576/25i. When released on NTSC, 576/25i material has to be converted to 480/29.97i. Lines must be dropped or blended and detail is lost because of the reduction in resolution. Because of the increased NTSC field rate, certain fields have to be repeated or blended and this can create stutter in motion, especially during camera movement. Blu-ray supports 1080/24p and 1080/23.976p, 1080/29.97i and 1080/25i. It does not natively support 1080/25p, although many players may be able to play this format. Any product advertised that uses a progressive frame format will be in 1080/24p or 1080/23.976p, usually the latter. Blu-Ray 3D only supports 1080/23.976p x 2. However, its 3D format uses frame packing/stacking, and technically the resolution is 1920x2025 @ 23.976p. (45 blanking lines separate the left and the right imgaes) With frame packing, the full 1920x1080 frame for each eye is transmitted, so the full horizontal and vertical resolution of each 3D frame is preserved. Whether your TV will show the full resolution depends on the type of 3D used. For Classic and New Series Doctor Who, up and until they started recording in HD, everything that has been released on DVD is essentially the best the program can look without an upconversion. In this case, Region 2 is the way to go. Not only do you get the series in its native format, you can always buy the discs cheaper. Series 1-4 is contained in a very reasonably priced DVD boxset. Additionally, certain issues with music rights, which cause edits for overseas releases, are almost never an issue with Region 2 discs. All Region 2 DVDs are region locked to Region 2 (and most also support Region 4), however, bypassing region encoding on DVDs is easy enough. For Blu-ray, the issue is more complex. First let's deal with the region encoding issue. The bad news : The upconversions of Series 1-4 in the The Complete Serials 1-7 U.K. Boxset are Region B locked. The separate releases of these Series in Australia may also be Region B locked. I do not yet know whether The Day of the Doctor or The Time of the Doctor U.K. releases are Region B locked. However, the video quality improves generally due to more efficient encoding techniques of Blu-ray, the use of more recent and improved mastering software and professional upscaling. However, as the Series 1-7 box set was a limited edition in the U.S., and it goes in and out of print. The U.K. doesn't have this problem. Amazon is advertising it for $349.98 while Amazon UK has it for £165.24. Assuming £1=$1.70, the U.K. version is cheaper. The Complete Seasons 5, 6 and 7, all use 1080/25i, so I am sure that they will not suffer from slowdown. I also understand that the bare-bones story releases (the discs they release before the Complete releases) also do not have this problem. Neither should The Time of the Doctor Blu-ray. The Complete Season 5 is missing the Next Time trailers and has a wrong version of the Children in Need special. The Complete Tenth Doctor Specials, regardless of region, use 1080/29.97i. HDTVs sold in formerly PAL countries apparently do not have a problem with the NTSC field/frame rates. I have read the results are a bit mixed, and should not be an issue with the DVDs, but typically resolution trumps frame rate. The Complete Serials 1-7 U.K. Boxset contains the previous standalone releases of The Complete Tenth Doctor Specials and The Complete Seasons 5, 6 and 7. Series 1-4 is new. The Complete Serials 1-7 U.S. Boxset contains newer masters of The Complete Tenth Doctor Specials and The Complete Seasons 5, 6 and 7 and everything is in 23.976p. Unfortunately, The Day of the Doctor Blu-ray will suffer from slowdown regardless of the country it is released in. This is because the Blu-ray 3D spec only supports 1080 lines at 23.976 frames per second. The accompanying DVD in the U.K. release should not suffer from this problem, but then it is not in its native 3D format either. Spearhead from Space, the only Classic Doctor Who story that has been released on Blu-ray, was released because it was shot solely on 16mm film. The BBC retained the film and thus could scan it in HD and transfer it to Blu-ray with a noticeable upgrade in quality over DVD. Any other classic Who stories would have to be upconverted from 756/25i and thus would not be worth the expense. On the Region B Blu-ray, the disc is encoded in 1080 /25i, while for Region A, the disc is using 1080/23.976p. On a closely related matter, An Adventure in Space and Time, which is only currently available as a Blu-ray in the U.S. and Canada, must suffer from the slowdown. If you want to see it in its native speed but not its native resolution, you can buy the U.K. DVD. The Blu-ray is not region encoded, so I am sure that it will be a relatively popular reverse-import. Notwithstanding the slowdown issue, buying Blu-ray from Amazon.co.uk. is still cheaper than buying anything in the U.S. in most instances. If you care more about consistency and picture quality, buy the U.S. Complete Series 1-7. If you care more about speed issues, then buy the U.K. DVD Series 1-4 and the Complete Specials and Series 5-7. 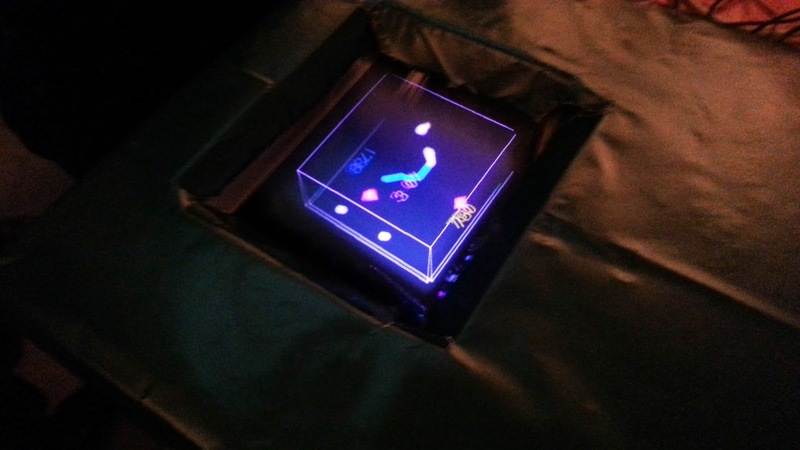 On Saturday, June 13, 2014, I attended my first demoparty, @party 2014, http://atparty-demoscene.net/. I really went to help out my friend Trixter, who had flown in from the midwest. I had never met Trixter or anyone else with whom I correspond on VOGONS or Vintage Computer Forums or Quest Studios, my three most frequented forums. Trixter lives in the mid-western U.S., Cloudschatze lives in the Rockies, etc. I had tried to meet Trixter for the last @party in 2013, but I was unable to make it. Several months ago, Trixter posted on the VCF that he was looking for the best method to ship an IBM PC Portable Model 5155. Now "Portable" was a charitable description for the machine, it weighs about forty pounds and takes up as much space as an IBM PC. However, he was going to submit a demo and wanted to demo it on real hardware. I didn't pay that much attention until he mentioned that he was going to @party, which is held at MIT in Cambridge, Massachusetts. At that point I volunteered to help him. I own an IBM PC Model 5150 in good enough shape that he could probably make his demo run on it. He accepted my offer of help and we discussed what he would need and when he would need it. I would bring the PC, a CGA monitor and a keyboard and some of the usual cards you could find in a PC. So, on Saturday, I told Trixter I would be in Cambridge at 1:30PM. The entries for the demo competitions had to be submitted by 5PM, so the extra time may have been necessary for troubleshooting. I estimated I could get to Cambridge in an hour and fifteen minutes. However, due to road work, it took close to two hours. One of the lanes was closed off on the bridge, and that twenty-five foot closure backed up traffic for at least two and a half miles. I was looking at my phone while stuck in traffic (admittedly an unwise thing to do) and a guy pulled up and asked me if I was checking Google to see what was wrong up ahead. I told him that I wasn't and he pulled away. I checked the Navigation app and found that there was road work, so about 10 minutes later I saw his car, honked my horn and told him what the trouble was ahead. I did not get to Cambridge until close to 2:30PM. I didn't want to let my friend down, who had traveled so far to show his new demo. It simply wouldn't have been the same if he was forced to use DOSBox. I swore many an unprintable oath on the drive to MIT. I got to MIT, and the parking garages around the main campus are extremely expensive. Fortunately on Saturdays there are plenty of metered parking spaces available, and I had just enough quarters to feed the meter until 6PM. After 6PM they no longer check the meters. 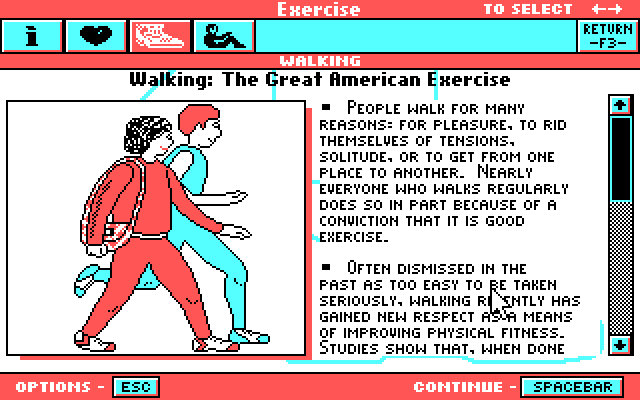 Carrying an IBM PC, which weighs about 20 pounds, back and forth across campus is quite a workout. I brought my IBM 5153 Color/Graphics Display monitor, which is significantly heavier than my other CGA monitor, the Tandy CM-5. However, the extremely poor dot pitch of the CM-5 does not lend itself to high resolution graphics or serious 80-column text work, so I brought the IBM. Both full height bays were occupied with the typical Tandon TM100-2A drives. I knew that Trixter intended to run his demo off a compact flash card in an CF-IDE adapter. The only adapter I have is intended to be housed in a card bracket or drive bay. I tried inserting the 5.25" adapter into the drive bay, but I would have to remove one of the full-height Tandon floppy drives and it would leave a large hole. Trixter brought an adapter that sat directly on the end of the IDE header. That adapter had a female connector and the ADP has a male header. Neither of us brought a ribbon cable with the appropriate ends, so we had to exchange the positions of the AST and ADP cards to give the CF-to-IDE adapter clearance to fit on the end of the ADP card. There is plenty of clearance between the first 1 in the IBM PC and the end of the Power Supply. At first, it didn't work because it was inserted the wrong way (the CF holder needs to face the front of the machine). Once we turned it around, it booted like a champ. One thing I have learned is that my ADP requires the Diskette Drive Adapter and a valid physical A: drive to boot the hard disk. I usually use the ADP in my Tandy systems, which have a diskette drive adapter built into the motherboard. On the downside, there may not be sufficient clearance in the Tandys to mount a CF-to-IDE adapter directly onto the end of the ADP. So one problem was solved and Trixter tried his demo on my PC. After listening to it with the headphones, he noticed that the music was out of sync with the video and playing back too slowly. The problem was with the Sound Blaster. Trixter encoded his digitzed music at 32kHz, but the Sound Blaster 1.0-1.5, even with a 2.00 DSP, only supports playback at up to 22kHz. If I put my Sound Blaster Pro or a Sound Blaster 2.0 (which I don't have anymore) in the system, the music would have played back fine, since those cards can support 44kHz playback. Trixter had access to the original audio and used his modern laptop to re-encode the original 44kHz digital audio into 22kHz digital audio suitable for the Sound Blaster very quickly. Once that was done, he told me that the demo worked as it should. 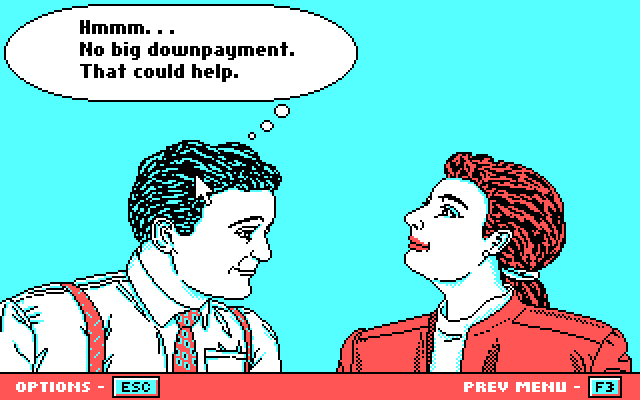 In fact, this was a benefit because the demo was available to a wider audience. I refused to watch the screen so I could experience it with everyone else. The drawback was that the demo was barely submitted in time for the 5PM deadline and I missed an important presentation. 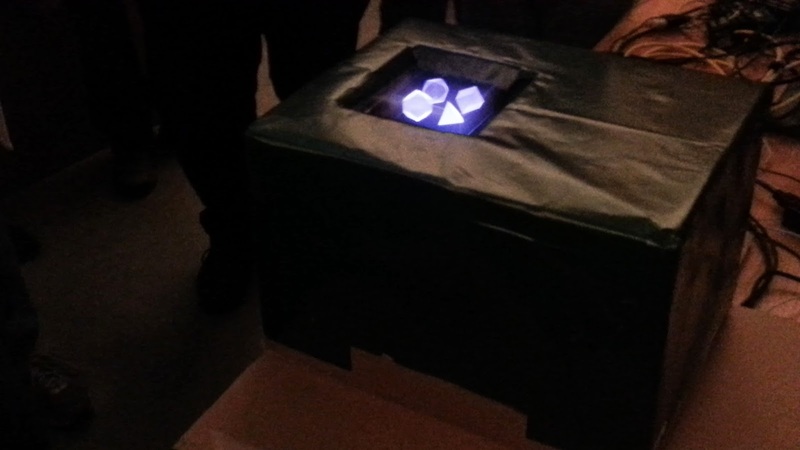 The current iteration of the Voxiebox was designed and built by Mr. Silverman and four other people. Two of those people were located in Australia. As the motor noise is very noticeable, I asked Mr. Silverman how long could the motor run. He stated that it had not broken down, so they ran it as long as they wanted to. 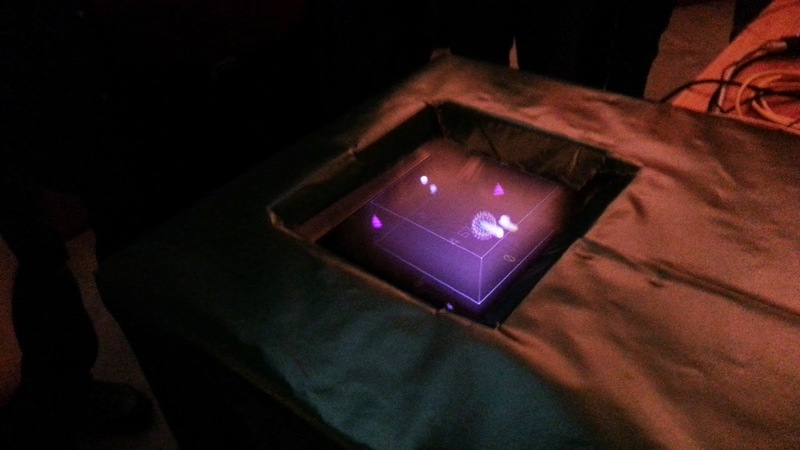 At first they used a sine wave generated by PC audio hardware to keep the motor in sync with the projector, but that was not sufficiently precise, so they relied on a board that appeared reminiscent of an Arduino or Raspberry Pi. Once Trixter demo had been completed, he introduced himself to Mr. Silverman. He showed him the target system for his demo, my PC. Mr. Silverman demonstrated his dormant coding abilities by entering a simple program in GW BASIC and another simple program compiled in DEBUG. 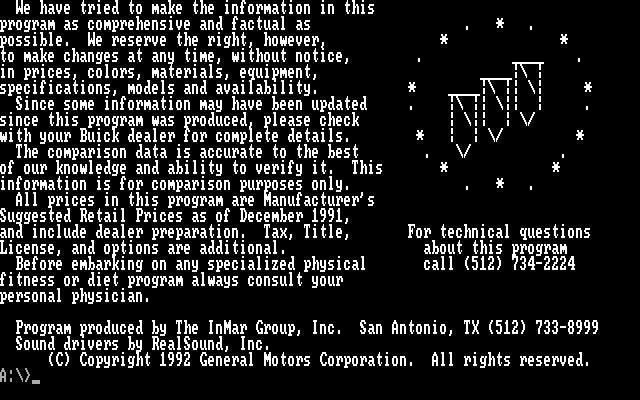 I can make the boast "Ken Silverman coded on my IBM PC!". When they showed me the lines Mr. Silverman typed into GW BASIC and asked me if I knew what they did, I deduced correctly that they were trying to plot pixels in some manner. The above highlighted the fact that I was still separated from a majority of the people present because they can code and I cannot. Trixter's own art is not in graphics or music but in coding. He appreciates the challenge of trying to eek out the last ounce of performance from a system. Meanwhile, trying to be social I saw someone trying to code with a Sega Genesis. As he appeared to be using a Krikzz Mega Everdrive, we had something in common. He was using a a laptop and a composite-to-usb video-in capture device to view the output on his laptop screen. He was trying to get true bitmap graphics working with the Sega Genesis. The Genesis uses tile-based graphics modes, so implementing a bitmapped graphics mode involves changing tiles quite frequently. 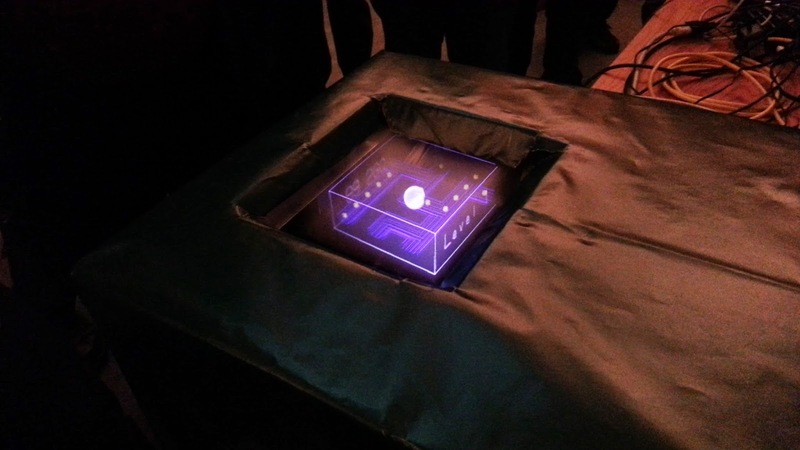 Between such issues as the horizontal line interrupts, the DMA speed and the unstable raster being displayed from his capture device, he was not able to finish his demo in time for the competition. 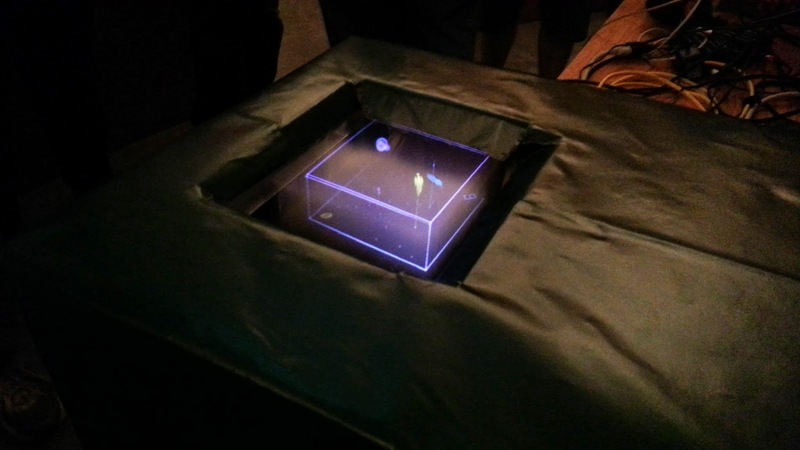 Another excellent device demoed was a mini-Tesla Coil. This was entered into the demo and I was able to chat with the two individuals behind the demo afterwards. They used the coil to display "lightning" during the playback of music. Essentially the bursts from the coil were set to audible frequencies to accompany the music. As the coil is controlled via MIDI, the coil is a unique, albeit dangerous MIDI instrument. In the demo, the electricity arced to a common CCFL light bulb. The kit they used can be found here : http://onetesla.com/products/kits/onetesla-musical-tesla-coil-kit.html I also saw an oscilloscope with 3-D patterns being displayed on it like a Vectrex. My only regret is that I did not seize the opportunity to try out the Oculus Rift during its demonstration. I saw the projection behind the speaker, which showed the visuals the people who tried it out saw when they wore the headset. The visuals weren't especially impressive because they lack their immersion and suspension of disbelief which was provided by the headgear itself. Imagine during your head and seeing the display shift according to the position of your neck. 180 degree turns would be a challenge. While the Oculus Rift Development Kit 2 is available for purchase, I don't have a spare $350.00 to drop on a peripheral supported by half a dozen PC games at the time of this writing. The people who did get to try it were wowed by the effect. I will have to cling to my memories of novelty VR arcade games and the Virtual Boy for now. The party began on Friday, but Trixter told me I hadn't missed much. Sunday was mostly for cleanup, so I departed with my IBM PC at 11PM on Saturday. Trixter gave me his opinion that compared to European demoparties, this demoparty was a much more MIT appropriate buttoned-down affair. Part of that is because of the rules of the site, MIT does not allow for drinking alcohol. Also, everybody had to leave by midnight, in Euro demoparties people sleep on the floor and they run 24 hours. There were competitions for this, that and everything else. The maximum number of people I saw was about 35 people, whereas the European parties can run double or triple that. Still, like other demo parties people would shout out random things, usually evoking a laugh. There were several categories in the demo competitions. Some were for music, some for computer art and some for demos. With the music demos, I made notes on the various pieces presented for reference. 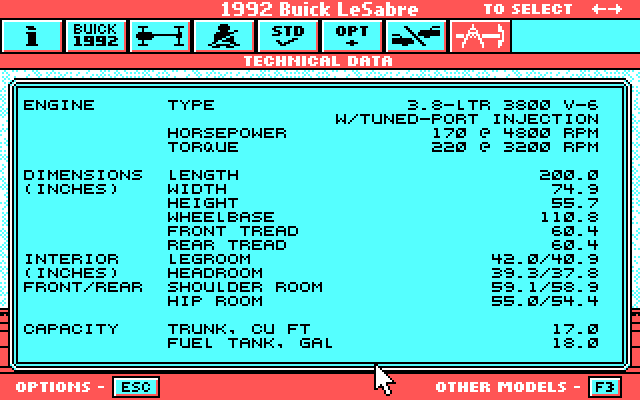 The programs and graphical demos would show a screenshot next to the submission name. I assumed that voting required you to rank each entry from best to worst, but it actually allowed you to select a range of opinion for each entry. I could therefore say I liked two pieces equally. Some of the notes I made were "new agey", "some Sierra influence", "sounds like a track from an early 90s TMNT game", "lacks direction", "errie vocals", "terrible sound effects", and "NES inspired" Two of the tunes did use Famitracker, which is a tracker for the NES, Famicom and the expansion chips. Who knows how much post-processing was done. Overall, I was impressed with the quality of tunes presented. If you try to run it on real hardware, here are some guidelines : It will show the wrong colors in parts 1 and 2 of the demo with a Tandy 1000 or IBM PCjr. Color Composite output*. It needs a SET BLASTER line and a Sound Blaster with a DSP version of 2.00 or better. I also advice using a new-style CGA card, as the second half of the demo may show a wavy raster, color fringing on the edges of black and white, and brightness fluctuations with an old-style CGA card and a modern television. If you want to get a very good idea what it will look like on with Tandy 1000 Composite Video, use DOSBox and set the hue to 135 degrees using Alt + F11. * - the demo requires a Sound Blaster card, a later release will have the option to run it silently. Therefore you won't be running it on a PCjr. unless you have the ultra rate PC Enterprises GameMaster. 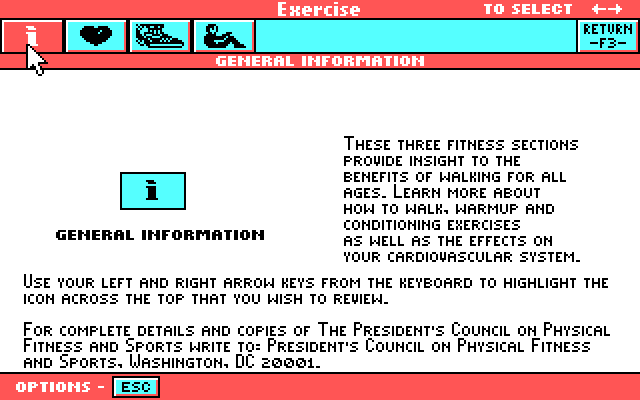 The concept of these disks are part advertisement, part spec sheet, part leasing tutorial, affordability calculator and part health and fitness advice. If you find the last of those curious, read on. These disks were clearly intended for the IBM PC and XT. 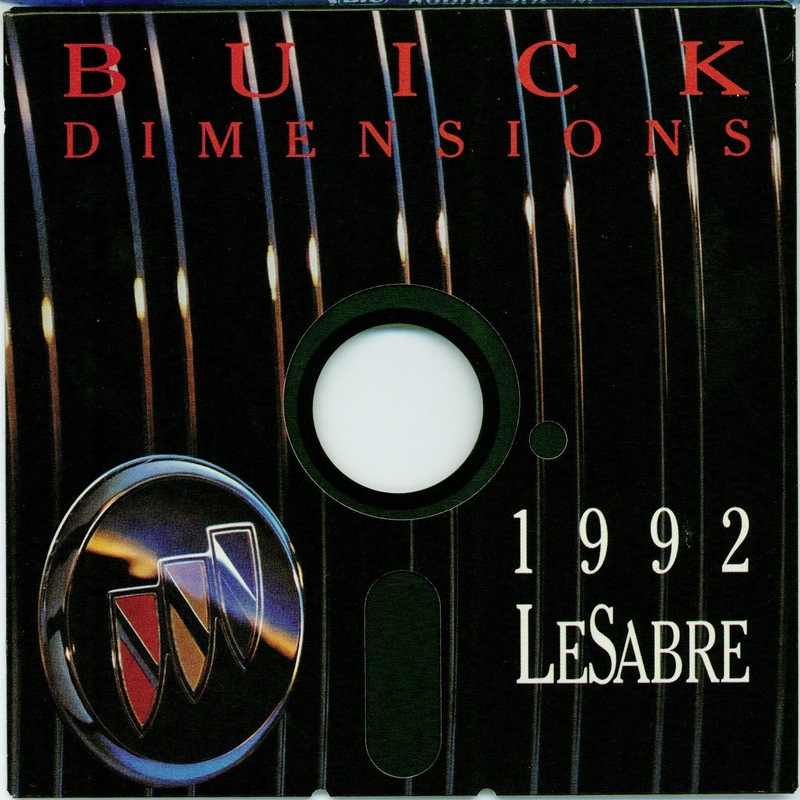 The disks were manufactured no earlier than January 1992, long after the PC and XT had been discontinued in 1987. These 360KB disks work in tandem and one can work in Drive A: and the other in Drive B: They require a CGA or compatible card, and unusually for the time period use Mode 05h and its intense cyan/red/white palette (its cyan/magenta/white on EGA or VGA). 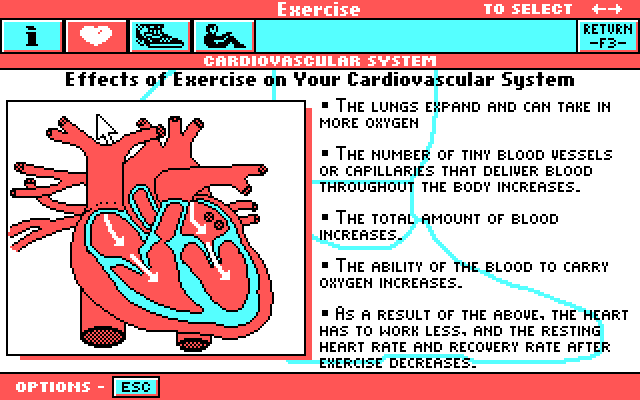 A state of the art advertisement would have been released on 1.44MB or 1.2MB disks and used VGA graphics and Sound Blaster sound. 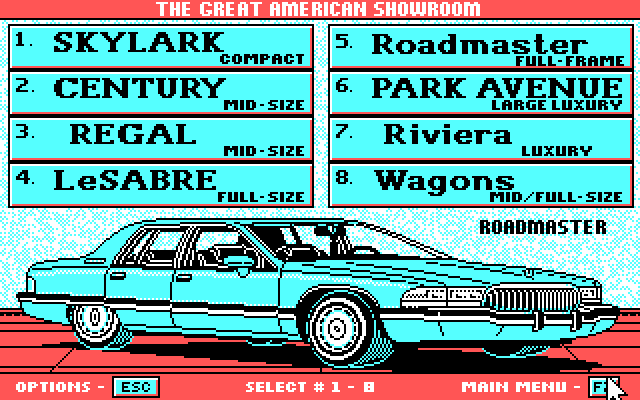 However, lots of dealerships apparently still used older systems in or near their showrooms. 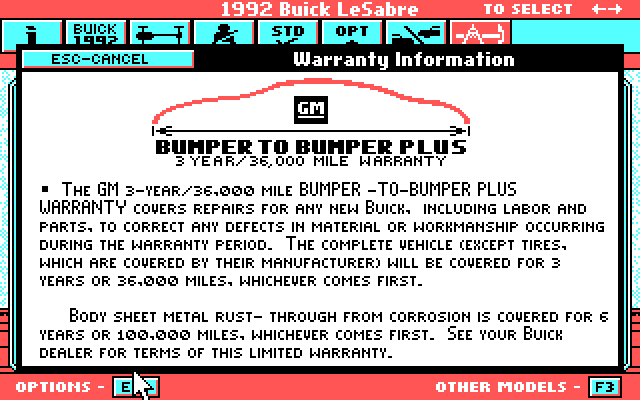 By targeting the PC, GM/Buick ensured its software would run on just about anything. Using a computer to look up model information must have still been fairly novel, even in 1992. 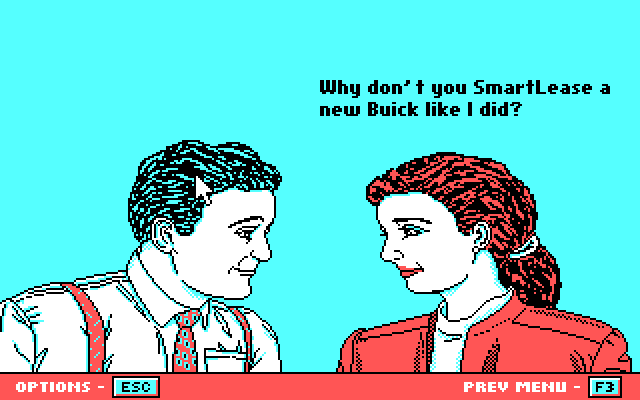 I'm sure that it must have looked very impressive to the average customer, but this is probably the same information you would have found in Buick's brochure. 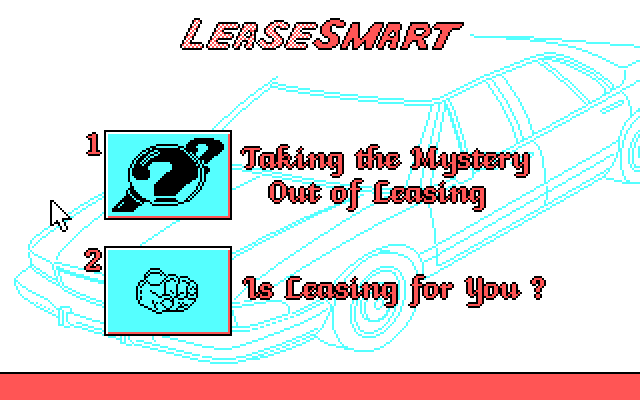 The next selection on the main menu tells you all about leasing. But you don't own it, and stop trying to look down her shirt you perv! But aren't they trying to sell you a car? 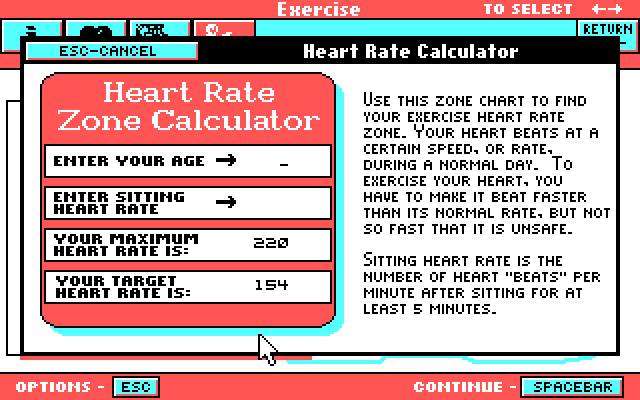 How do I measure my heart rate ? 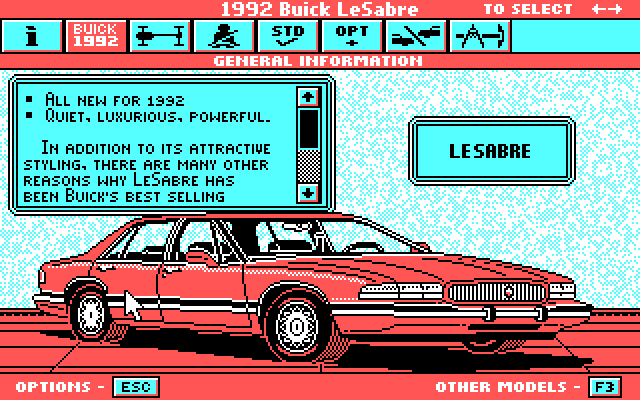 As you can see, there is a disconnect between the Buick advertisement portion of the program and Exercise/Nutrition portion of the program. 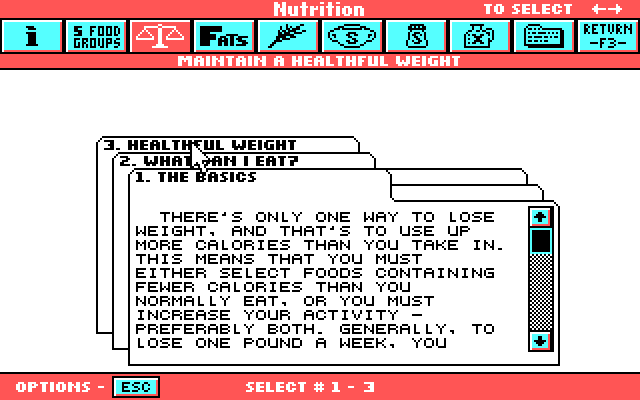 Who would expect detailed, if out of date, dieting advice on a program issued to Buick dealerships? 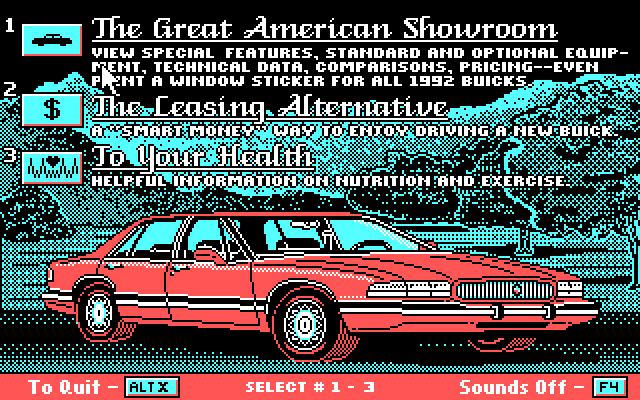 The Exercise/Nutrition portion is very elaborate, its as if someone at Buick liked the presentation and decided to advertise their automobiles with it as well. 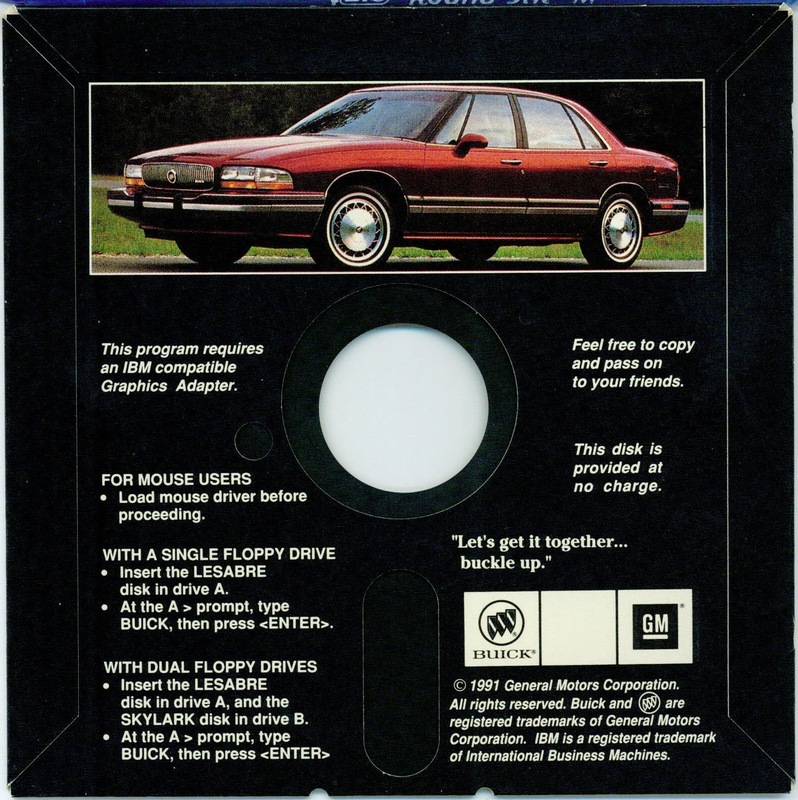 If they kept it to the cars, they probably could have fit everything on one floppy. Despite the RealSound credit, all the music is standard PC speaker, not digitized or tweaked PC speaker. 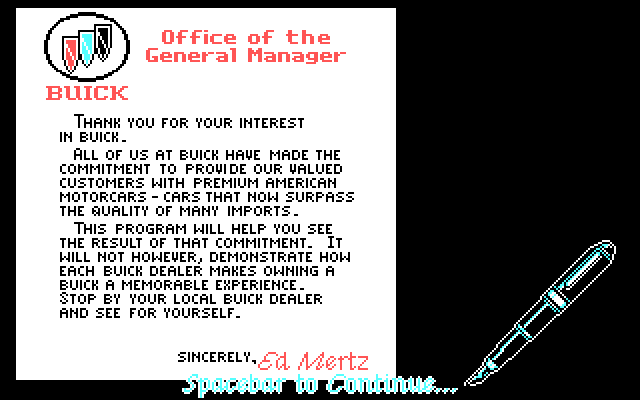 The ASCII Art Buick logo is really well-done. In February of 1984, PCjr. Magazine was first published to highlight the new PCjr. This magazine was published by Ziff-Davis, which had previously began PC Magazine in February/March, 1982, soon after the IBM PC's debut. A friend of mine sent me a copy of PCjr. Magazine, Volume One, Number Eight. I found the magazine easy to read and wanted to share some highlights of the issue. This volume was dated for September, 1984, roughly seven months after the first customers had received their PCjr.s. (PCjr. was an "Early Bird Certificate" special for Christmas 1983). It would cease publication by October of that same year, as reported in InfoWorld (which I consider something akin to the Annals of Computers). The last issue was released in November, so only two more issues followed this one. As the magazine is not available online, I would like to share some of the insights contained therein. This magazine is extremely important because it reviews King's Quest in the issue. I will start with comments on specific ads and features which I find interesting by page number, and then make some general comments. Fold-out Cover : Advertisement for the Tecmar jr Captain, a neat add-on sidecar with a parallel port, RTC and 128KB of RAM, expandable to 512KB. Essentially all the good IBM sidecar upgrades rolled into one. Tecmar also got the back cover. Back Cover - Tecmar's Ad probably cost as much to print as it would have been to rent that ship. Page 1 : WordPerfect, now available in jr. version. WordPerfect was the successor of WordStar as the standard word processor for many, many computer users. Page 10 : Impulse's Jr. Partner sidecar, similar to the jr Captain. This advertisement implies that the sidecar can be upgraded using standard DRAM chips, all the way to 512KB. It also advertises a bi-directional parallel port with a 16-bit timer. Page 14 : AST's ad, "COMING SOON, New Products for PCjr." 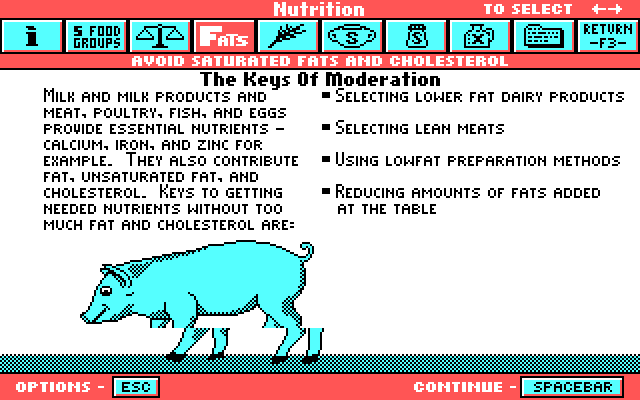 AST made great stuff for the PC, but apparently decided not to follow through on their ad for the PCjr. Page 15 : "Screen Play" Column. He reviews Star Fleet I : The War Begins and Wizardry : Proving Grounds of the Mad Overlord. Star Fleet is a descendant of the text-based Star Trek game of the 1970s. The author begins with a mock conversation between Captain Kirk, Mr. Spock and Lt. Uhura from Star Trek, but Uhura's name is consistently misspelled "Uhuru". He appreciated both games, but almost treated Wizardry like a new game, even though it had been a fixture of the Apple II computer for three years by that point. (He did acknowledge that it had been popular on the Apple II for a while.) He did not appreciate the merciless difficulty of Wizardry. Apparently, the version of Star Fleet reviewed required Cartridge BASIC, as the system requirements indicate that version 2.0 would not. Considering that Star Fleet was almost an entirely text-based game, this raises an eyebrow. Page 17 : Microsoft's PCjr. Booster ad. 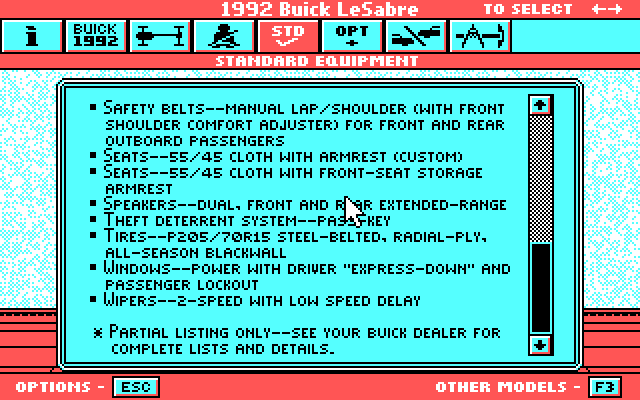 This sidecar included 128KB and a Microsoft Bus mouse. The Booster sidecar's mouse offered an alternative to the serial mouse, and the PCjr. only had one general purpose serial port. Page 18 : Atarisoft's games are featured in this ad. Atari had released ports of several of its arcade licenses to the PC, and most of its games worked on the PCjr. The games featured in the ad were Gremlins, Crystal Castles, Donkey Kong Jr., Mario Bros., Track and Field, Typo Attack. Pac-Man, Ms. Pac-Man, Jungle Hunt, Battlezone, Donkey Kong, Centipede and Pole Position were also mentioned in the ad as still being available. Only Ms. Pac-Man, Centipede, Donkey Kong, Moon Patrol and Typo Attack were listed as being available for the PCjr. 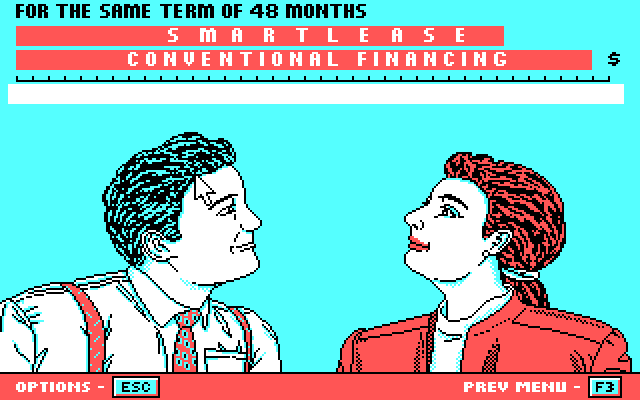 It appears that the later Atarisoft titles almost certainly added PCjr. compatibility. Typo Attack was indicated as being released for the IBM PC/PCjr. and the Commodore VIC-20, but the latter version has been acknowledged to be vaporware, so I would suggest that the former is as well. The game only appears to have been released for the Atari 8-bit computers. Of the other games described in the main text, Atarisoft only released Gremlins for any platform, and it appears to work with the PCjr. Page 19 : An article profiling Broderbund. It identifies games like Alien Rain and Captain Goodnight. It also mentions famous games like Choplifter and Lode Runner. 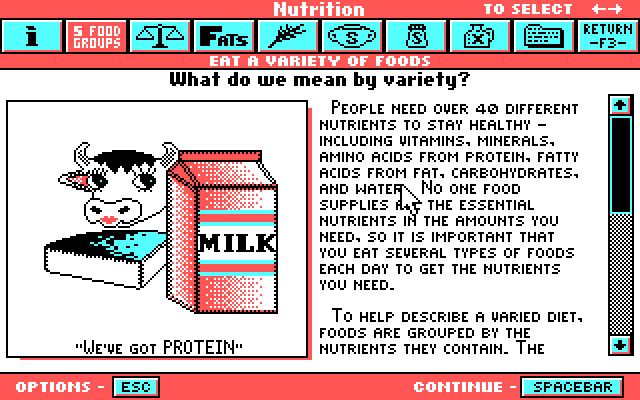 Broderbund's contributions to the PCjr. were very limited. Page 30 : Legacy Technologies's Ad. Legacy marketed a line of expansions that sat on top of the PCjr. and allowed for a second floppy drive or a fixed disk drive. Legacy's products also supported a unique L-bus expansion slot system. Page 33 : Ad for an obscure game called StarShip Valiant, which runs on the PC, XT and jr. Also, in the next issue there will be reviews for Imagic's Touchdown Football and Sierra's Championship Boxing. Page 35 : Feature evaluating and reviewing educational software and games. Among the titles reviewed include IBM's Adventures in Math, which has graphics that look like those from the DOS port of Might and Magic, and the first version of Math Blaster!, which would enjoy a moderate notoriety in later years. Page 47 : Photo of an IBM 5153 monitor on a jr., something IBM did not recommend. The weight of the monitor would cause diskette drive errors due to the stress points placed on the case. The 4863 can be put on top of a PCjr, without encountering this problem. Page 51 : Ad for jr Connection, a software and hardware dealer. 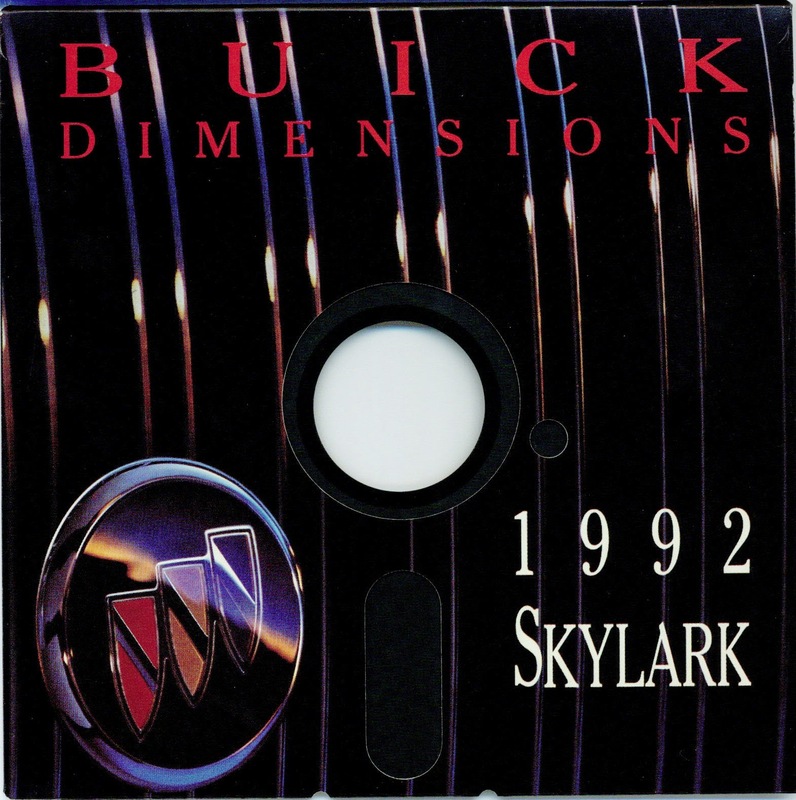 Among the games there are several of Infocom's titles, Funtastic's Snack Attack II, Microsoft Flight Simulator 2.0, Orion's PC-Man and Sirtech's Wizardry. Page 52 : Ad for Key Tronic's KB5151jr. keyboard. The layout is like an early version of the first Northgate Omnikey keyboards, and it uses capacitive keyboard switches, not the rubber domes of the IBM PCjr. keyboards. There are separate function keys, arrow keys and a numeric keypad, and an attached keyboard cord. $225.00. Page 58 : Review of the Microsoft Booster sidecar. Among the more interesting notes is a program that will move Cartridge BASIC into the expansion RAM, improving performance. Newer versions of Flight Simulator (2.1+) can also use the mouse for controlling many of the program's features. Page 66 : Review of King's Quest. 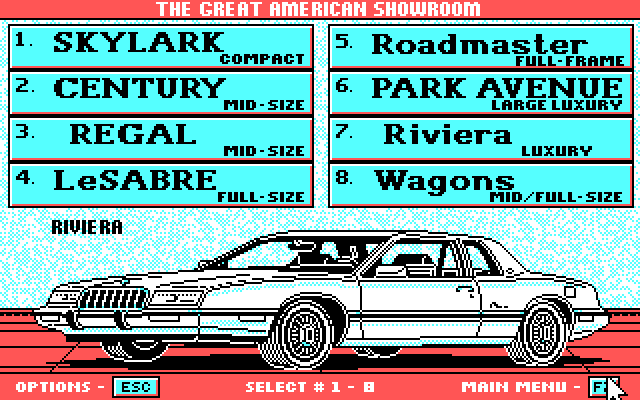 The reviewer describes the game as "the best use of graphics of any game yet developed for the PCjr." 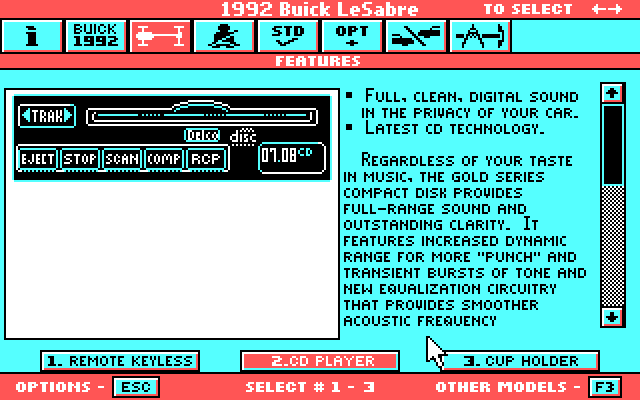 He also notes that while the game makes use of the full graphics and sound capabilities of the jr. and was developed for it, a PC compatible version was already available. He was impressed with the three dimensional aspect of the graphics. However, he observes that the audio component is "barely adequate at best", failing to take much advantage of the "four-voice [sic] chip". Is this for King's Quest or Pitfall II? The reviewer praises the challenges for being "fun and fair". Apparently he had not tried to guess the gnome's name. 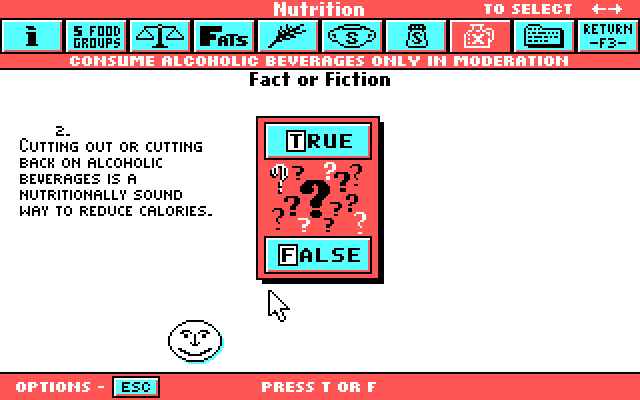 He also notes that previous Sierra titles were more arbitrary and capricious with puzzle solutions. He notes the procedure for creating a save disk and the replayability due to the scoring system and multiple puzzle solutions. He really liked the game. Page 77 : "Revue of Reviews", a feature recapping the reviews of the previous seven issues. Among the games and educational software that had been previously reviewed were Facemaker, Fraction Fever, Juggles Butterfly, Type Attack, Adventure in Serenia, Casino Games, Conquest, Crossfire, Demon's Forge, Digger, Enchanter, Flight Simulator 2.0, Forbidden Quest, GATO, Infidel, Jury Trial, Micro Surgeon, Mine Shaft, Mouser, Murder by the Dozen, Sorcerer, Space Decathlon, Strategy Games, The Stud Poker Parlor, Styx, Tiao Ch'i (Chinese Checkers), and Ulysses and the Golden Fleece. 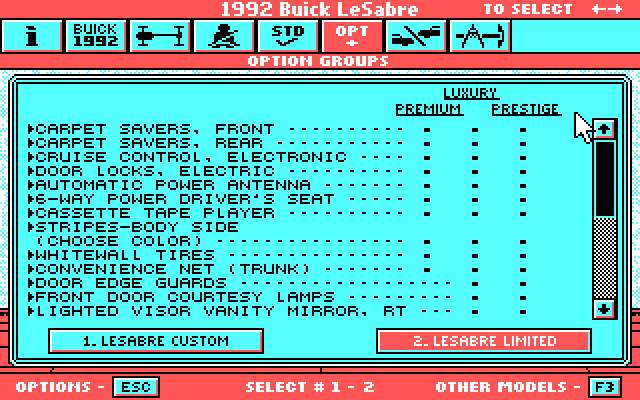 They reviewed the Legacy II in August, 1984. They also reviewed the book Hands-On BASIC for the IBM PCjr. in that same month. That is all the page annotations I found of interest. I note that double-cartridge version of Lotus 1-2-3 had not been mentioned, so I would guess it hadn't been released yet. 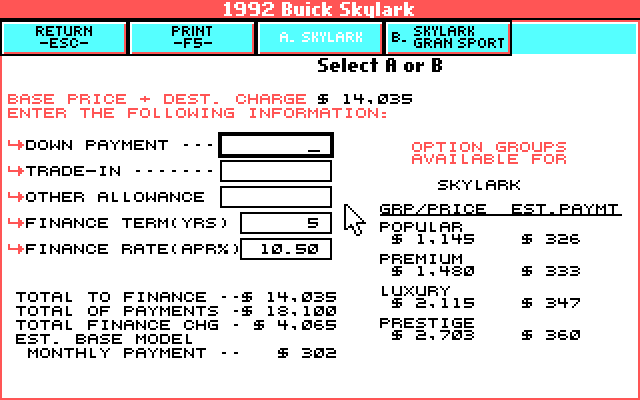 VisiCalc and Microsoft Multiplan had been released for the jr. or could be run on it. All the photos of the PCjr. in the magazine show the chicklet keyboard, which IBM recalled and replaced in July. Apparently the magazine and the vendors had not appreciated the urgency of eliminating that unwelcome image from their artwork. This is one area in which all companies concerned should have taken more aggressive action to shed the poor PCjr. image with its useless chicklet keyboard. Most of the games reviewed in the magazine had no special (Wizardry, Enchanter, Juggles Butterfly) or marginal (Crossfire, Mine Shaft) PCjr. support. Adventure in Serenia was released very early for the IBM PC, and according to an IBM brochure I have, it was not updated for the PCjr. The only box I have seen for it is the old clam-shell style IBM used for early PC software, not the later large "cassette tape" boxes. There was a later obscure re-release of the game for the PCjr. under the title Wizard and the Princess, but I doubt it would have been available at launch. "Casino Games" may or may not have been the IBM title, the game is attributed to the generic "PC Software Corporation"
The magazine reviewed three games from Windmill Software, one of the earliest companies to focus exclusively on the PC platform. The PC versions of these games tweak the CGA far too much to be playable on a PCjr., so special versions must have been marketed. There is cover artwork for Styx on MobyGames indicating that it was for the IBM PCjr. It is unknown if there are any enhancements for the PCjr. versions of these games, but nothing I read leads me to believe otherwise. Of the canonical eight cartridge games, the magazine had reviewed four of them. The reviewers probably like those games more than I do. I like the other four cartridge games comparatively better. GATO does not appear to have any PCjr. 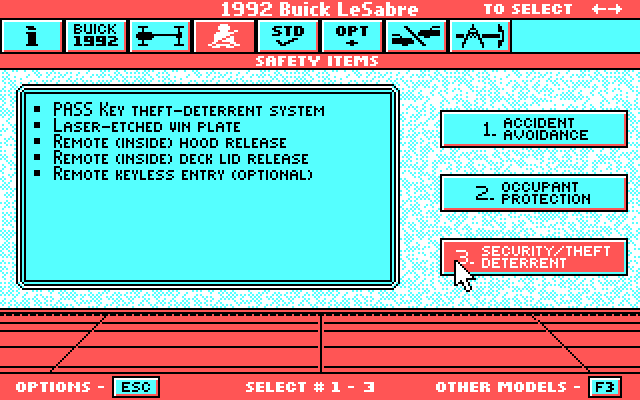 enhancements, but apparently there was a later version which added 16-color support for Tandy 1000s. 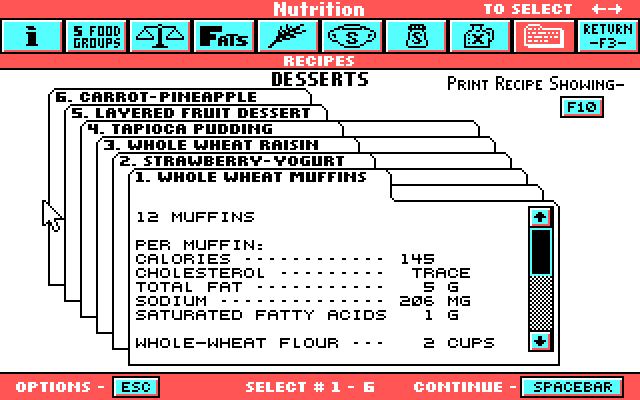 This required 256KB, whereas IBM PCs with CGA and PCjr.s only required 128KB, so no 16-color graphics for PCjr. users. Demon's Forge received a PC port well before Mastertronic's 1987 release, so perhaps the PCjr. has official 16-color support. I have a hacked version of the hard drive hack which restores 16-color support for all Tandy 1000s and the PCjr. 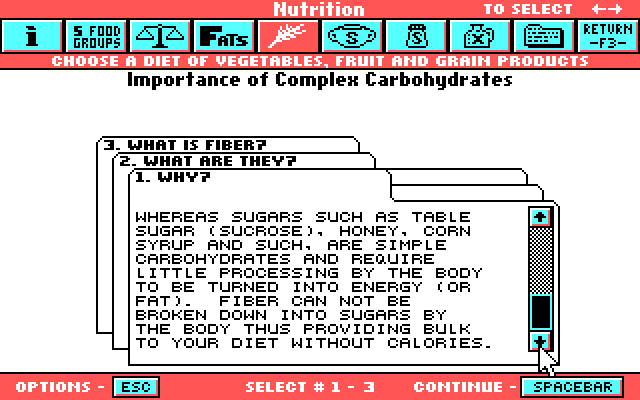 Apparently this version was released by Boone Software, which did re-release the Apple II version under its brand. Hardware-wise, it is amazing how quickly other companies reacted to plug the gaps in IBM's machine. 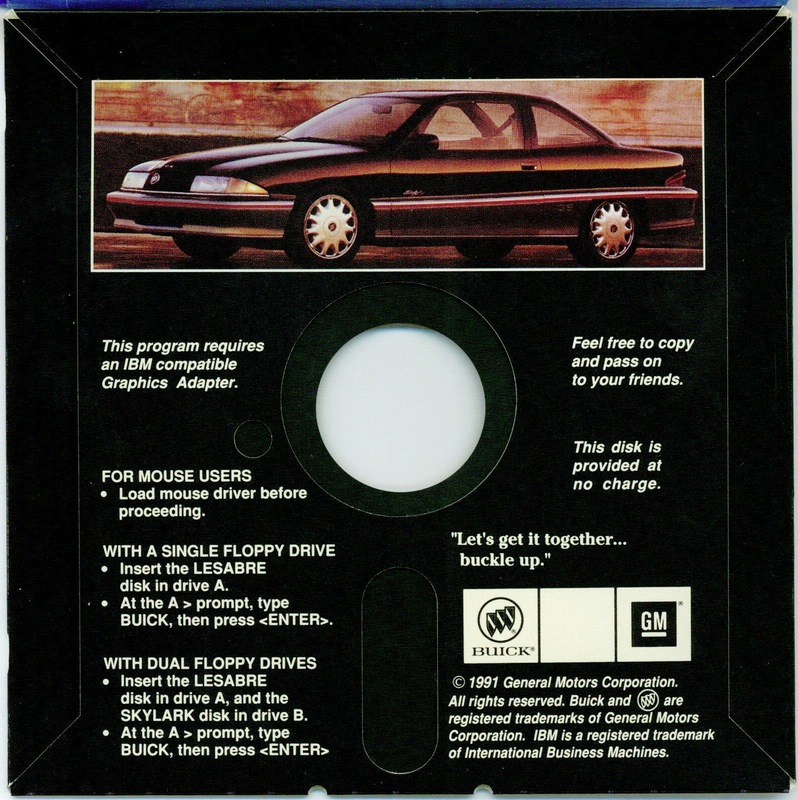 More than one option was available for adding a second floppy drive and many memory expansions were available. A better keyboard was available as was a math-coprocessor adapter, and you could even add a hard drive if you were prepared to spend a lot of money. The magazine implies that Hands-On BASIC for the IBM PCjr., published by IBM did not come with the computer, I have verified that it did.. The BASIC reference manual presumably came with Cartridge BASIC, which was a separate purchase. The only other substantial documentation included with the system would have been the Guide to Operations. The DOS manual came with DOS 2.1 for the PCjr., purchased separately. The Technical Reference and the Hardware Maintenance and Service Manuals were also released separately. The Arcadia/Starpath Supercharger for the Atari 2600 was a very peculiar device from the second generation of video games. It was a very large cartridge that plugged into the 2600's cartridge port. It contained 6K of S-RAM for loading games off cassette tapes and 2K of ROM for the loading code. The Supercharger was packaged with the game Phaser Patrol. The initial cost of acquiring the Supercharger was higher ($44.95) than a standard 2600 cartridge ($29.95 for many new titles), but the games themselves were often priced lower than cartridge games ($14.95-17.95) due to the use of cassettes, which were much cheaper to mass produce than cartridges. Not included in that price was the cost of the cassette recorder, which the player had to supply. The cassette recorder's line out would be connected via the Supercharger's audio cable. Ten games were widely available during the accessory's life, two could be purchased by mail order, and four prototypes are known to exist. Among the Supercharger's best games were Dragonstomper, one of the first console RPG games. Communist Mutants from Outer Space is a fun shoot-em-up in the Galaxian vein, and Fireball is a fun Breakout clone. Escape from the Mindmaster uses a very impressive first-person perspective. Even though the library is small, the overall quality of Starpath's 2600 games, in my opinion puts the company in the first rank of 2600 game designers alongside Atari, Activision and Imagic. I must give special mention to the version of Frogger released for the Supercharger. This version, the so-called Official Release looks, sounds and plays far better than the Parker Bros. cartridge. In fact, it is superior to just about every cartridge release of the game. The arcade original has five lanes of roads and five lanes of water, but many console ports only give you four road lanes. Even more impressive is the fact that the arcade music plays throughout as it should despite the rather humble audio capabilities of the 2600. Many ports cut the theme short and leave you with silence during most of the gameplay. The SNES version is particularly atrocious in this regard because it has no music at all! When the Supercharger was inserted into the 2600 console, the screen would show "REWIND TAPE PRESS PLAY". 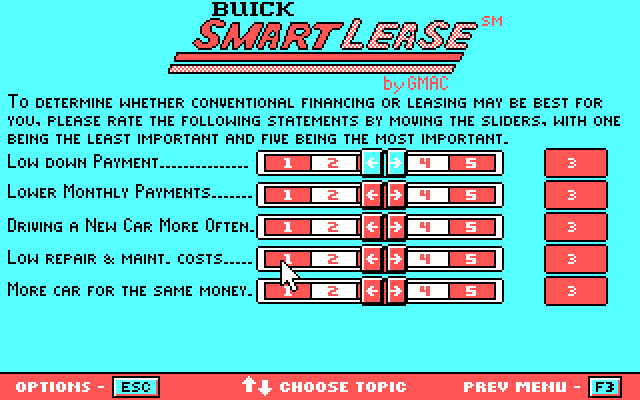 Once the player did that, the game would proceed to load, with colored bars on the screen closing in informing the player of the progress of the load. When done, the screen would display "STOP TAPE" for a moment, then the title screen of the game would appear and the player could start playing. Most games were fully loaded within one load of the cassette, but four games (Dragonstomper, Party Mix, Survival Island, Sweat! - The Decathalon Game) used three loads and one (Escape from the Mindmaster) used four. The tape would be rewound to the beginning, then the first load would start the game, requiring the player to stop the tape. When the game needed the next load, the player would have to start the tape again. If he waited too long in stopping the tape, he would have to rewind it and play it until the game found the beginning of the right load. A load may take approximately 20-40 seconds, depending on the game and which side of the tape was being used. Side A was the fast-load side, Side B was a slower load if Side A did not work with the player's cassette recorder. The Supercharger digitized the binary data of a game onto an audio cassette. A "0" bit would be an audio wave pulse of 158ms and a "1" bit would take 317ms (fastest speeds) or 900ms/2450ms (slowest speeds). The controller chip in the Supercharger would use an ADC to convert the audio into binary data for the RAM. The Supercharger supports three banks of 2KB of RAM and one bank for the 2KB ROM. People talking about the Supercharger often state that it increased the RAM capacity of the 2600 (128 bytes) 49-fold. This is not really an apt comparison. An average cart uses a 4KB ROM chip to store program code, graphics and sound. That data must be stored in the Supercharger RAM. 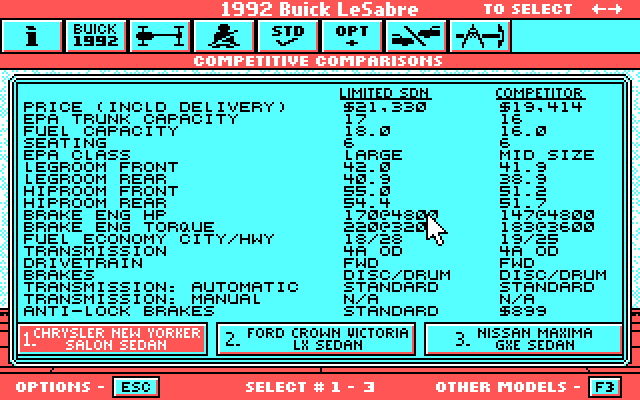 A Supercharger game is really like a 6KB cart (with a single load game, otherwise 18KB/24KB cart). However, any portion of that 6KB can be used as extra RAM. Each load of a Supercharger game transforms into an 8448 byte binary file, but that file includes a good deal of space not used by the game (including the space occupied by the ROM bank and a header). Additionally, all ten of the officially released Supercharger games include a "demo" load at the end of the last game load on the tape to show previews of other games. For multiload games, a combined binary file is used with emulators and cartridges like the Harmony Cartridge. Comparatively, 8KB, 12KB, 16KB and even a 32KB cart were released during the 2600's lifetime. The three 12KB carts from CBS came with 256 extra bytes of RAM, and sixteen of the 8KB, 16KB and 32KB carts from Atari came with 128 bytes of RAM. 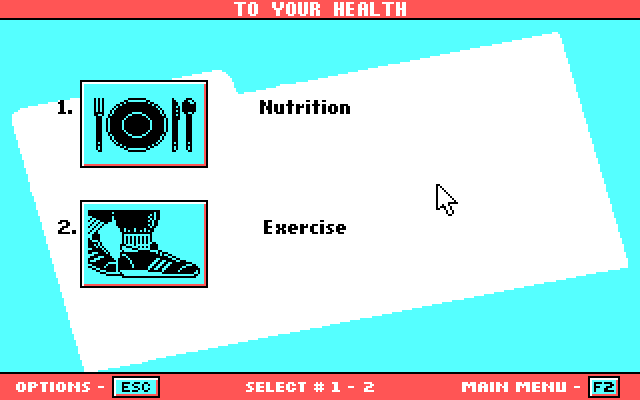 One game from M-Network, Burgertime, used 12KB of ROM and 2KB of RAM. The Supercharger was not the only 2600 peripheral that could utilize cassette storage. The CommaVid Magicard programming cartridge came with 2KB of ROM and 1KB of RAM. There were instructions in the manual to modify the cartridge to add support for saving and loading programs to cassette. The Spectravideo Computmate came with 16KB of ROM and 2KB of RAM. The Compumate turned your 2600 into a cheap computer as it came with a 42 key membrane keyboard that would fit on the front grill of a pre 2600jr. machine. It supported saving and loading programs from cassette using a standard cassette recorder. But the impact of these devices pales in comparison to the Supercharger and its games. I have recently acquired a Game Boy Pocket. It is one of the revised models, with a blue case and a power LED. The Pocket is a slimmed-down version of the original Game Boy. Its chief benefit is that its case is smaller and less bulky. It has a similar screen size but slightly smaller controls and speaker. It plays the exact same titles as the original Game Boy. It doesn't have a backlight, but one can be added today with mods. The screen is the best feature of the Game Boy Pocket. It has better contrast than the original, a better monochrome gradient and virtually no ghosting with moving images. 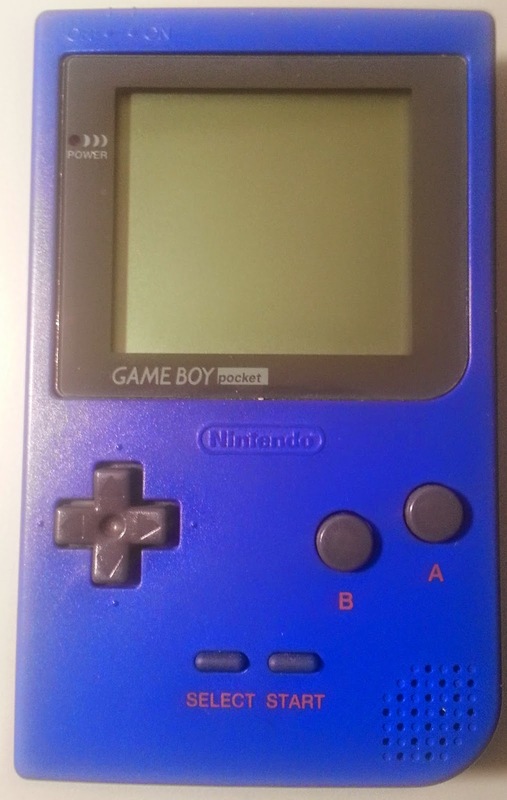 The original Game Boy screen, due to pixels with long transition times, would show ghosting in moving images. Some games have effects that require a monochrome screen, like the mountains at the beginning of the Cloud Castle stage in Castlevania 2 : Belmont's Revenge. On any color screen, the mountains will flicker more than on a monochrome screen. When I play a game on the original Game Boy, I have asked how I ever put up with that awful screen when I was a child. I do not ask the same thing about the Pocket. Another plus to the Pocket is that it does not suffer the missing vertical lines issue of the original Game Boy screen (fixable, but still). The sound has been criticized as not being as nice as the originals', and from the headphone jack there an annoying background noise that is audible when headphones are connected through the headphone jack. The original Game Boy just has hiss. Stereo panning support was a touted feature of the Game Boy when first released, but by the time the Game Boy Pocket was released in 1996, there were few music and sound effects in games that supported stereo sound. Most people used the built-in speaker, even when headphones could be used. The controls on the Game Boys and Game Boy Advance feel like real D-pads, the controls on the Game Boy Advance SP feel more like microswitches. The controls on the Pocket are not so much smaller than the original to really feel like you have lost precision control. Backlighting kits exist for the Game Boy Pocket, typically kits work for the original and the Pocket. The best ones are from nonfinite electronics and kitch-bent. Installing a backlight in the Pocket is a bit trickier than in an original Game Boy, here is a good video showing how it is done : http://www.youtube.com/watch?v=qUUEVWbLoS8 A Youtube channel now called 8-bit guy suggested spraying WD-40 into the crevice between the layers and the glass once you have pulled up a corner. He says this really helps remove the adhesive bond. Having irreparably damaged a Game Boy Pocket's screen after trying a mod without WD-40, using WD-40 may be a good idea. In my opinion, Alkaline batteries may be okay for a backlight, but they do not have sufficient power for a multicart. On the EMS card, the cart may work for a while with fresh, name-brand batteries, but after a short time they will not be able to power the card, which will lead into an endless reset loop. Alkaline batteries experience a far greater mAh drop over use than Lithiums. Perhaps the EMS cards made after June, 2010 (as shown on the back of the card, mine is 0908) are better with this. More active screens will appear lighter than less active screens. NiMH batteries tend to support 500-800 mAh compared to the 1250-1000 mAh of the Energizer Ultimate Lithiums. 1000 mAh average is probably the maximum you will get out of name brands, but I hear they can provide a much more reliable current than an Alkaline. I would strongly recommend using the Sanyo Eneloops or other high end brand. There are AC adapters for the Gameboy Pocket. The right adapter for the Pocket or the Color uses 3V, 300mA and has a positive tip. Radio Shack's Adaptaplug A should fit. My EverDrive GB will work in my Game Boy Pocket with Sanyo Eneloop rechargeable AAAs. The screen contrast will lighten somewhat when it is loading or flashing a game, but it will complete the process. When the game is playing there will be no need to constantly monitor the contrast dial as I would with the EMS Flash Cart.